People living with cerebral palsy may struggle with a number of different challenges and limitations, and many may assume they cannot participate in sports. Sports for people living with disabilities are possible, though. Cerebral palsy causes issues with movement, muscles, coordination, and balance, but adaptive sports can help children and adults living with these disabilities participate and stay physically active. From local adaptive sporting groups to worldwide organizations, there are plenty of opportunities for people with cerebral palsy to participate, and there are numerous examples of athletes who also have this condition. If you or your child lives with cerebral palsy, know sports and athletics are possible and can be fun and great for staying healthy and fit while also socializing. Being able to participate, as non-disabled children do, in sports and athletic activities at school and in communities, has not always been possible for children with cerebral palsy. There was a time when it was assumed that disabled children or adults could not engage in the kinds of sports that other people do, like basketball, track and field, or skiing. Participation and inclusion in sports are becoming more and more of a reality for people with cerebral palsy and other disabilities. A common way to allow children to participate in the past—and this still happens sometimes now— was to give them special assignments, such as towel boy, water girl, or assistant team manager, when really the child wanted to participate in the actual sport. Sometimes a disabled student will even be given a chance to play, but only in the last minute of a game when a win is guaranteed. The child may love this, but it is not really giving him a real opportunity to participate or be included. A lot has changed for the better for students with disabilities who want to participate in sports. The Individuals with Disabilities Education Act mandates that children with disabilities must be able to fully participate in school and activities, and that includes physical activity. In spite of this, the U.S. Government Accountability Office found through a study that 12 percent of disabled children in middle school and high school were participating in standard physical education classes. Following this discovery, President Obama stated in 2013 that schools must provide reasonable accommodations to allow disabled children to participate in physical education and sports. The announcement was communicated through a letter from the U.S. Department of Education to school districts around the country. At the time the announcement was made, only 12 states had athletic programs established specifically for students with disabilities, but that should change and more opportunities should open up for those with cerebral palsy and other physical challenges. The key to making sports and athletics more inclusive and to allow for more open participation for everyone is making sports adaptive. A girl with cerebral palsy who uses a wheelchair for mobility may not be able to run down the basketball court, but she can still shoot baskets and dribble if the appropriate adaptations are made. A wheelchair basketball team is an appropriate and reasonable alternative for this young girl who wants to play the sport and schools and communities have a responsibility to provide such opportunities. Other adaptations may be simpler and allow for a child with cerebral palsy to participate in school sports teams alongside non-disabled children. For instance, if a boy with cerebral palsy can swim, but his movements make it difficult to stay in one lane, he may be given two lanes to swim. Adaptations for sports are possible in a variety of ways, from wheelchair racing to sled ice hockey, or using specialized equipment to be able to use skis or a snowboard. In addition to the government that mandates inclusion, there are several adaptive sports organizations that act as allies for children with cerebral palsy and other disabilities that want to participate. One such organization is the American Association of Adapted Sports Programs (AAASP). This group works hard to advocate for disabled students and provides a model for how they can be included. The AAASP works with schools and communities to develop adaptive sports programs and sets the standard for how to include all students. Disabled Sports USA is an organization that aims to bring sports to both children and adults with disabilities by hosting events. The group runs 100 programs around the country with thousands of participants. The Wheelchair Sports Federation organizes events for children and adults in wheelchairs, including a variety of sports like basketball, fishing, archery, and powerlifting. Children and adults with intellectual disabilities have the chance to participate in international sporting events through the Special Olympics. Not all children born with cerebral palsy will have intellectual disabilities, but those who do can still participate fully in adaptive sports and through organizations like the Special Olympics. The goals of the Special Olympics include greater participation and inclusion, but also changing attitudes about intellectual disabilities, building strong communities, and promoting health and fitness for everyone. Children living with cerebral palsy and intellectual disabilities have the chance to participate in real sports through the Special Olympics. They are given the opportunity to enjoy and benefit from athletics and physical fitness as well as the confidence and personal growth that comes from competition. These young athletes even get the chance to develop leadership skills by mentoring other athletes. The Paralympics is an organization that provides a sporting competition that mirrors the Olympics, but for athletes with physical disabilities. The competition follows every Olympic Games in the same location. Athletes can participate in a wide variety of events including track and field, badminton, rowing, swimming, wheelchair tennis, and many others. There are as many opportunities for different sports as there are for non-disabled Olympic athletes. 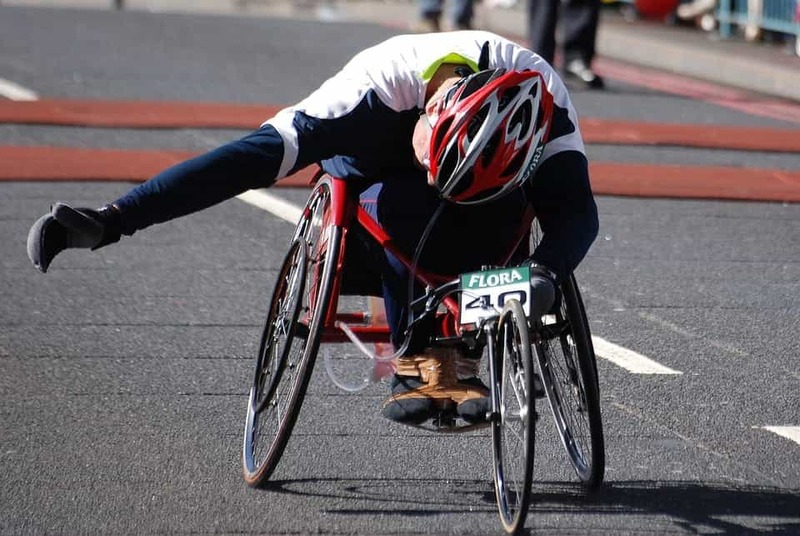 The Paralympic Games not only provide an opportunity for disabled people to be serious athletes, but they also give young children with disabilities like cerebral palsy the chance to dream, as other children do. Paralympic athletes serve as role models and show kids with disabilities that they can participate and they can achieve the same heights of athletic achievement as their non-disabled peers. An example of such a role model is Sophia Warner, a Paralympic sprinter who was born with cerebral palsy. Warner hopes to be a role model for young disabled athletes and to bring awareness to everyone about the difficulties, but also the possibilities of living with cerebral palsy. She says that she was never given opportunities to participate in sports and only with her own passion and commitment was able to start training as a runner at the age of 19. Now she is a world champion athlete and an inspiration to so many. Sports and physical fitness are important for all children and adults, regardless of disability. While opportunities for inclusion and participation have been limited in the past for children with cerebral palsy, this is changing rapidly. Adaptive sports groups, the government pushes, and events like the Special Olympics and Paralympics are making big strides toward helping include more people in sports.